Throw it against the wall, see if it sticks. 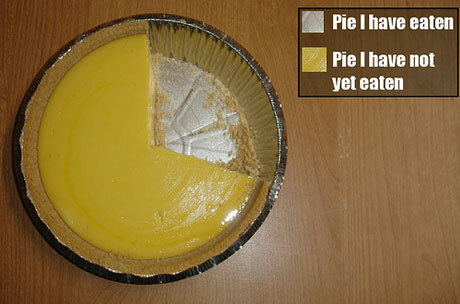 In the vein of GraphJam, here’s a funny little pie chart joke. Spotted via blowup, weheartit.com, infosthetics, Logic Nest. Update: of couse this *was* posted to graphjam – back on 18 Sept 2008. Attribution on that post is to one Jamie Schimley. Brilliant work, Jamie. Occasional thoughts on web and government communications. Everything here by Peter Smith. Spaghetti Testing by Peter Smith is licensed under a Creative Commons Attribution-Share Alike 3.0 Unported License.